The MAAGCS Annual Championship is being played at Woodmont Country Club, in Rockville Pike, Maryland on November 6, 2017. 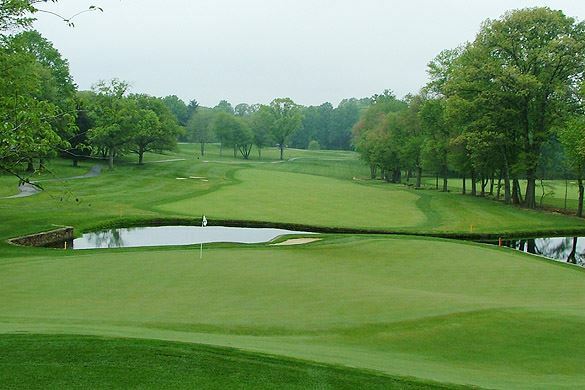 Woodmont has been host to the Sectional U.S. Open Qualifier for 30 of the last 31 years and the Women's U.S. Open Sectional Qualifier in 2010, 2011, and 2012. The event is spectacular and will be a great day for networking along with fun competition that will determine the 2017 MAAGCS Champion Golfer. Your defending champion is Doug Hall of Eagle's Nest Country Club. Join your peers and enjoy a fun day at Woodmont Country Club for the final MAAGCS golf event of the year. Cell Phone Policy: Cell phones can be used on the grounds at Woodmont Country Club but they CANNOT be used under a roof / inside any buildings. Questions? please click to email Tyler Eastham or call (757) 329-3577 for more information.